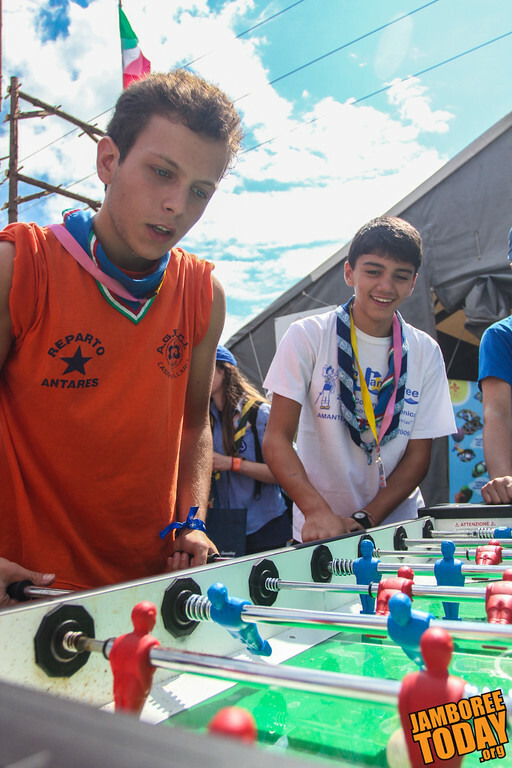 Italian Scouts Emanuele Arifi (l) and Emanuele Aiello compete in foosball (table football) along Flag Row. 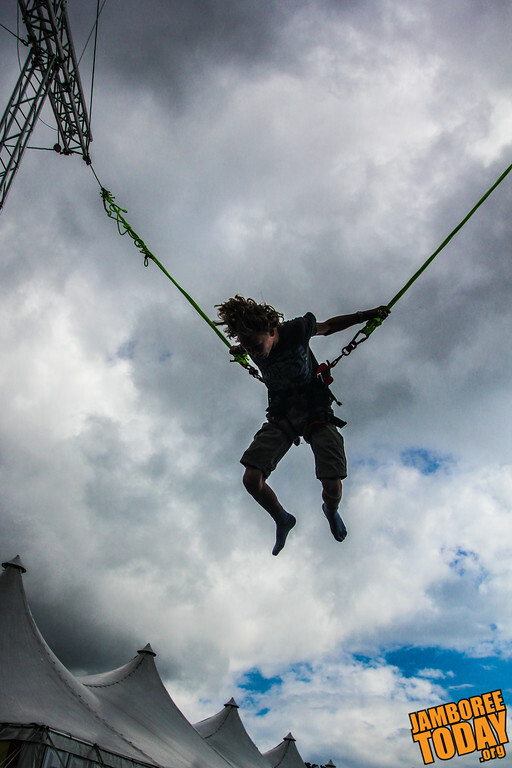 Norwegian Scout Jørgen Myhr Stokke performs backflips assisted by a trampoline and bungee harness at the Four Seasons Square. 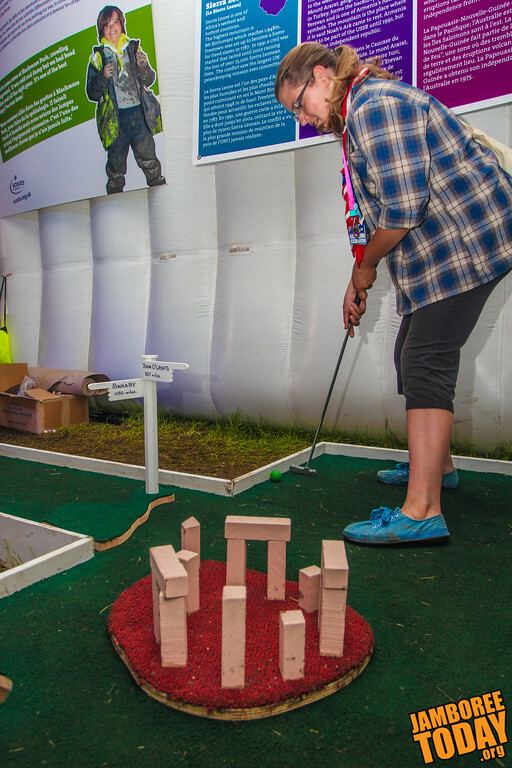 The United Kingdom contingent tent hosts mini golf complete with a mini Stonehenge. Polish Scout Krystyna Gajczyk goes for a birdie without toppling the "historic" towers.